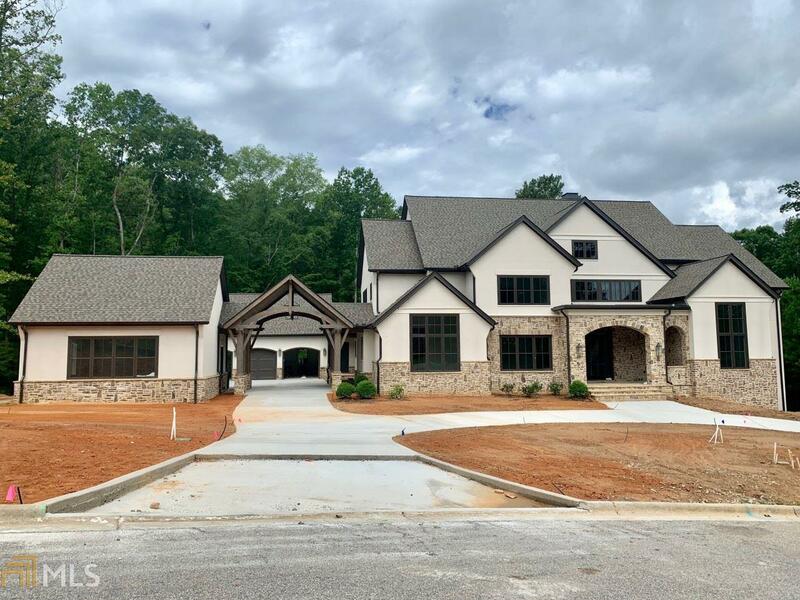 Award winning builder Storey Custom Homes - Located on 3+ gorgeous acres privately situated in The River Club along the National Forest Reserve adjacent to the Chattahoochee River. This home was designed for entertaining with an open and elegant flow around a centrally positioned bar/butler&apos;s pantry. Owner&apos;s suite on the main with an accompanying handicapped accessible guest suite. Expansive outdoor living area with fireplace and separate ktichen. Beautiful drive through prote cochere to motor court with 5 car garage!